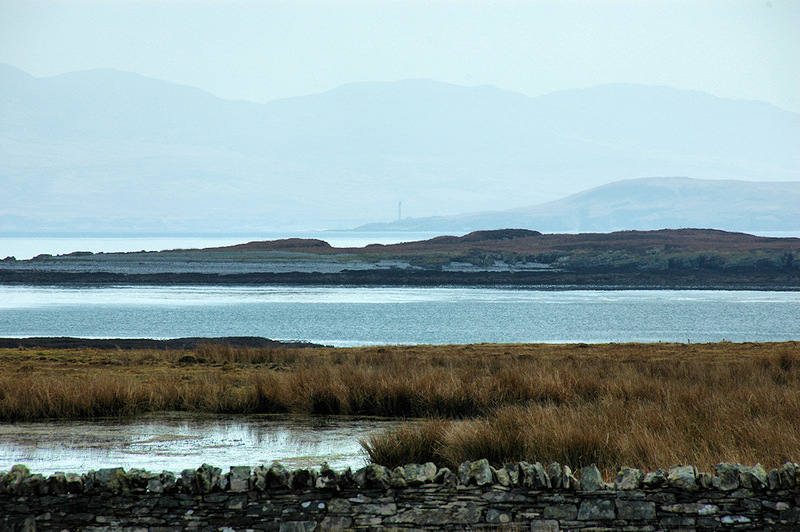 A view from the track to Oronsay Farm, looking south on a hazy April day. Eilean Ghaoideamal in mid distance. Behind it the northern tip of Islay with Rhuvaal lighthouse. Again behind it almost disappearing in the haze the hills of Jura. This entry was posted in Cloudy Weather, Colonsay Excursion, Landscape, Lighthouses, Repost and tagged Colonsay, Islay, Jura, Oronsay, Rhuvaal by Armin Grewe. Bookmark the permalink.